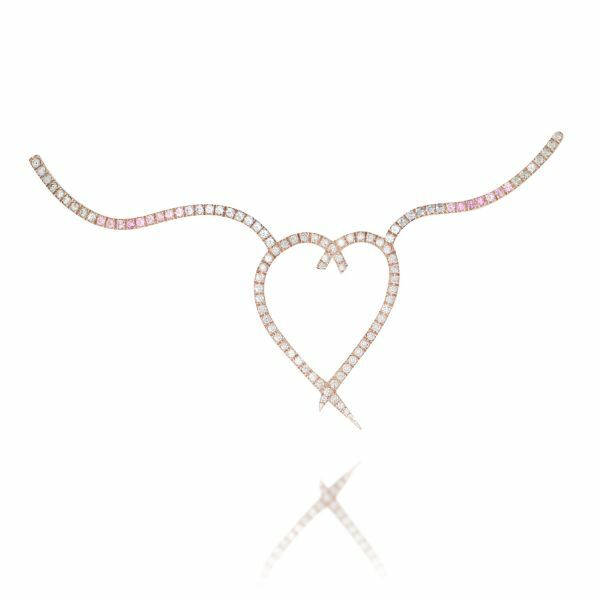 Zahavit Tshuba logo necklace, taurus heart shape pendant with multi color natural sapphires and white diamonds micro pave. 0.50ct white color vs-si diamonds. 0.60ct natural deep color Ryby.